Welcome to the Racecourse Hotel’s Bistro! With fresh produce and well-crafted seasonal menus, we’re sure you’ll find your new favourite meal. A great place to hang out with friends and catch up with the game with live broadcasts and full sports betting facilities. 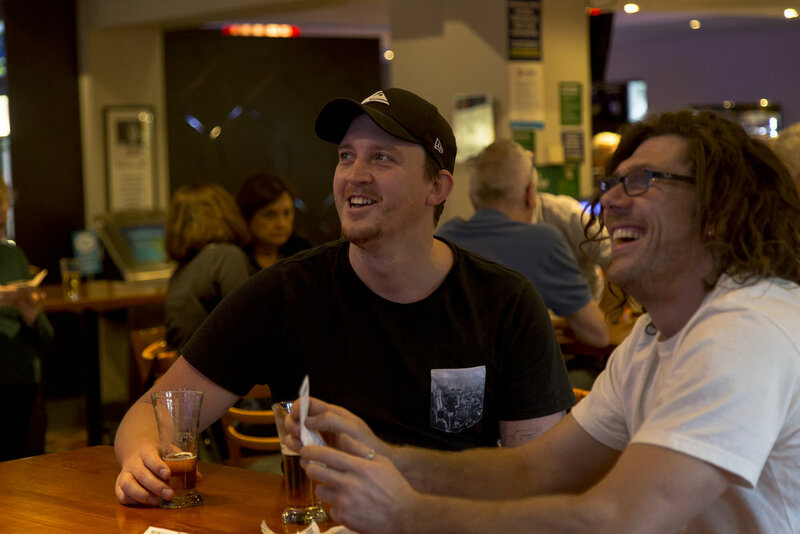 The Sports Bar connects with the Beer Garden and has a strong community feel, mixing age groups and interests in a space where people like to get to know each other. It also has a TAB, multiple screens for catching the football and races and sensational bar food. Welcome to the Racecourse Hotel, a slice of history serving locals since 1858. Our stylish Hotel is hidden behind a beautiful, heritage-listed Spanish Mission façade – originally built in 1926 by architects Henry, Hare and Hare. Over the years the Racecourse Hotel has had many owners and many face lifts, including a night club, an Irish pub and everything in between. In 2013, the closed down and boarded-up Hotel was purchased by a third generation Hotelier, Matthew Nikakis, saving it from development and restoring many heritage features of the Hotel. It underwent a renovation which saw the boarded windows uncovered and repainted, the historic bar tops restored, and the original tiled floor at the front of the Hotel uncovered. Working seamlessly with restorations, there has also been a lot of modern features added to the Hotel. The artworks in the Bistro have been printed onto acoustic panels – white panels also cover the ceiling. The new dry aging meat fridge allows us to provide top quality produce all year round – like a fine wine, meats get better with age. Our seasonal menu is always made with the freshest produce, and we have a wide range of local and imported wines, beers and ciders so there’s something to suit any palette! We hope you enjoy your visit to the Racecourse Hotel.